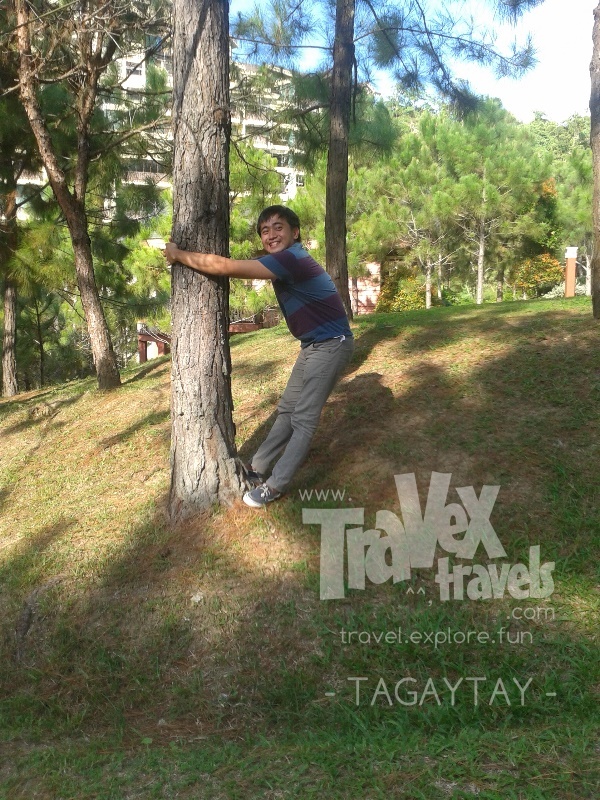 It was pretreat before summer time that our team visited one of the most popular tourist towns in the country—Tagaytay. It is the second most popular hill station after Baguio City and most people and yuppies from Manila do a short weekend trip in this city because of its proximity to the nation’s capital. Tagaytay City has still the charms. It was just a very, very short day trip to Tagaytay City. We left Manila at around noon time and in less than two hours, we arrived in Tagaytay. From SLEX, you can exit to Sta. Rosa (where Enchanted Kingdom is located) and follow directions to Sta. Rosa-Tagaytay Road. You wouldn’t even feel that you actually ascended because the roads are not zigzagged like Baguio’s! By the time the proposed Cavite to Batangas Expressway (starting at the terminus of either CALAX or Cavitex going all the way to Tagaytay and ending Nasugbu, Batangas), the trip would have been even faster. What I like about Tagaytay is, it is not as crowded as Baguio City in terms of buildings and people, and the views of the nearby Taal Lake are just majestic and relaxing. In a few hours, you can escape the bustling sounds of Manila and feel the nature in the City of Tagaytay. 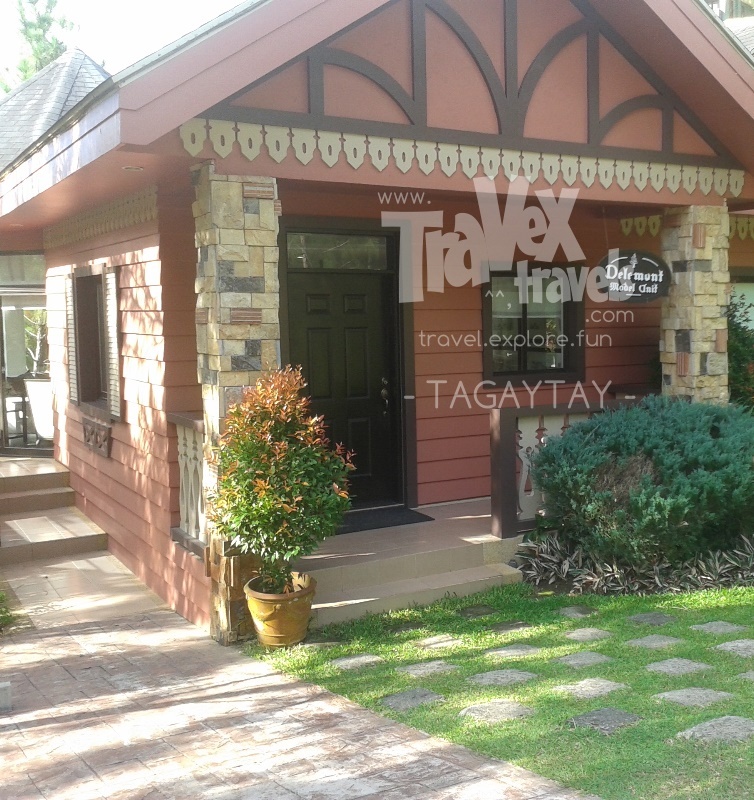 We would have visited these much of what Tagaytay offers but we do only have a very short time that’s why we were only able to visit Crosswinds, the Picnic Grove, coffee time in Starbucks and taste the best ever bulalo at Leslie’s. Upon reaching Tagaytay, we headed to Crosswinds. Crosswinds is just along the only national highway which is also overlooking Taal volcano on one side. Since we have special gate pass, we were able take several photo opportunities inside. It feels like Camp John Hay inside Crosswinds. The only difference is, Tagaytay is actually not as cold as Baguio. So even if you see pine trees in the place, the temperature is in the higher 20’s in degrees centigrade. We visited Crosswinds Tagaytay in March, so during the daytime, it is still a warm weather, meaning if you will walk around Tagaytay, you will most likely sweat. Not a jacket weather. However, at night time it feels breezy and a bit cooler, probably around 23 degrees so you can actually wear thin jacket as a wind breaker. The pine trees are alive in Crosswinds. It was one of the highest elevations in Tagaytay City. The pine trees remind me of Baguio City, my well loved city where I spent several years there. Nothing still beats my love for Baguio, even though Sagada comes close and Tagaytay follows. I love places where the weather is not humid. If I were a Manila guy, probably I would have loved Tagaytay more than I love Baguio because of its accessibility. It is near to Manila. I hope they develop Tagaytay into a better city, but the planners must be aware not to overdevelop it. Tagaytay is a place where people from Manila chillax for a moment, thus, the city mostly caters to tourists and visitors, unlike Baguio which is a university town (1/4 of its population are students) and a cultural melting pot of the Cordillera region. People of Baguio City are still the best parts to showcase the city, Tagaytay on the other hands shows off its natural wonders. If only Tagaytay has a thick cultural background, Tagaytay would have been at no par with Baguio. How I wish Tagaytay became the capital of the country for much better reasons. I like the Swiss architecture inspired houses inside the Crosswinds complex. Crosswinds is actually a subdivision. It is a real estate catering to the people who can afford more expensive cost of living. Everybody from Manila if he gets the chance, would have chosen to have a piece of paradise in Tagaytay City. If you have never been to Baguio and you are from Manila looking forward to taking pictures of pine trees, then Tagaytay is a good spot for it. You won’t regret taking pictures of them with you. Me and my friends actually enjoyed it there we took several photos, jump shots and weird posts. We were also able to take photo ops in the “Christmas village” in Tagaytay where Christmas inspired houses stand still.